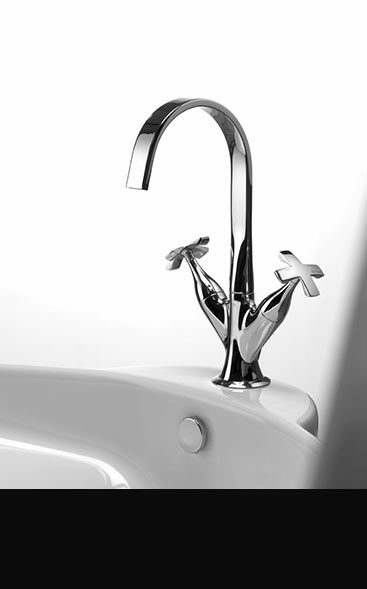 Superb range of European and Italian styled taps in the latest contemporary and traditional designs. Beautiful European quality, within these collections we can supply luxury bathroom taps in chrome, stainless steel, gold, nickel, polished copper as well as a collection of black taps. We offer in each design a full bathroom range of tap fittings with matching shower fittings including, basin taps, bath fillers, shower heads and shower valve controls. 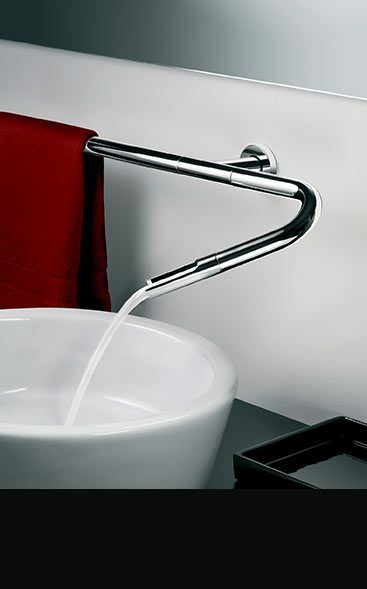 Exclusive to Livinghouse, the Kara Chrome Taps Collection is a simple, modern range of bathroom taps and fittings. Within this contemporary taps collection we offer stylish wall mounted and deck mounted basin taps, freestanding and wall mounted bath taps, as well as a full range of designer shower heads and thermostatic shower valves. 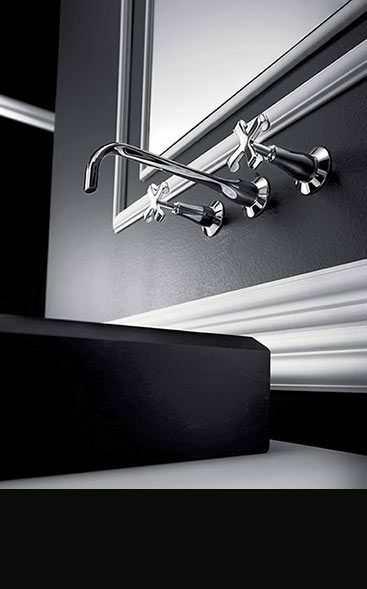 Our black bathroom taps collection is an exclusive choice for design led bathrooms. These black taps are a mix of satin black & chrome plating. Within this black tap range we can supply black basin taps for wall & deck mounting, wall hung, rim mounted & freestanding bath fillers & matching black shower heads including thermostatic shower valves & shower fittings. This highly individual collection of bathroom waterfall taps with a cascading water flow is proving to be an impressive feature within a chrome taps themed bathroom. 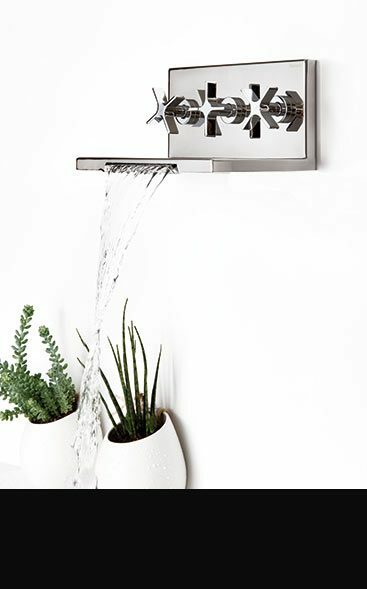 We offer a full range of matching waterfall bathroom taps including basin taps, bath taps and waterfall shower heads. An Italian collection of designer bathroom taps, bath fillers, shower controls and shower fittings. 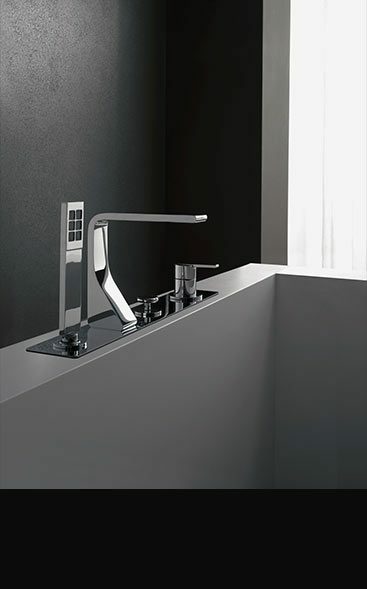 These contemporary taps are the latest in Italy design and are exclusive in the UK. A lovely tap collection of contemporary crosshead taps, bath fillers and shower fittings and an ideal addition to design led bathrooms. These contemporary bathroom taps are a modern twisted on an old traditional tap style. Made in Italy these Italian bathroom taps are beautiful quality. This contemporary tap collection is made up of many interchangeable parts that can produce different tap combinations for different bathroom situations. 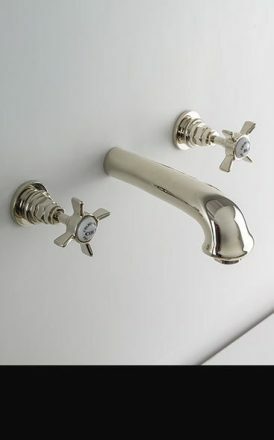 Within this exclusive tap range, there is water spouts, tap controls valves, towel rail lengths, shelf & toothbrush holders choices, all producing a unique bathroom tap. Ideal for individual luxury bathrooms. Impressive bathroom design with this waterfall taps collection. Within this waterfall bathroom taps range we offer cascading basin taps & bath fillers which can be deck mounted & wall hung, freestanding bath taps plus matching waterfall shower heads. 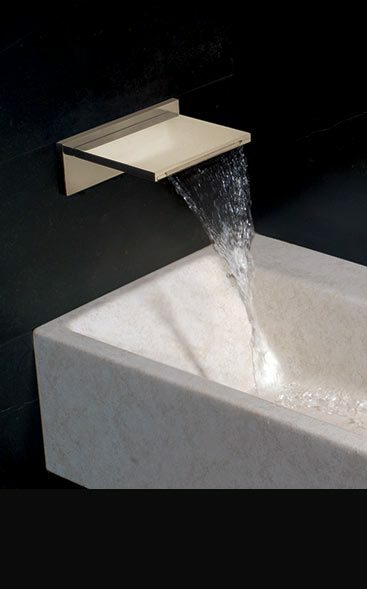 These beautiful waterfall taps are Italian styled & manufactured in Italy, ensuring great quality. 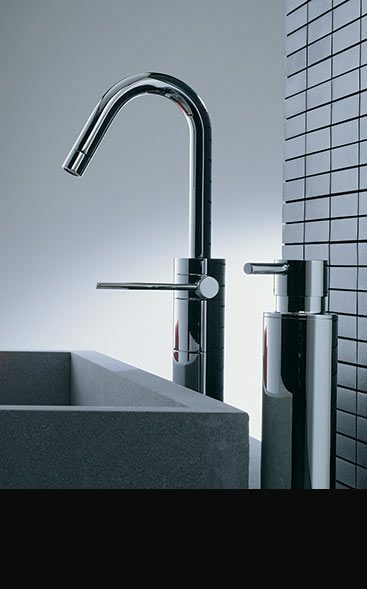 This square tap collection is ideal for designer bathrooms with a cubic bathroom theme. within this range we offer square basin taps and bath fillers. 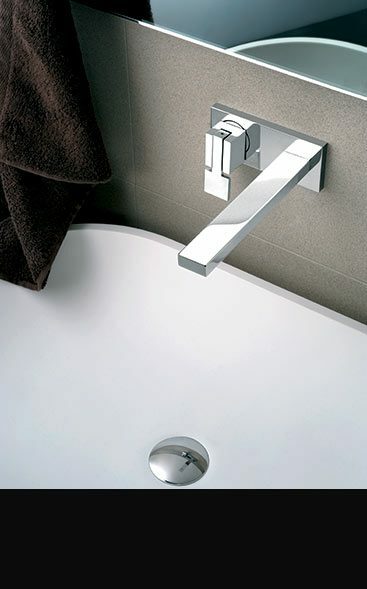 Designed and manufactured in Italy this square bathroom taps are contemporary styles and European quality. All square taps are supplied with 5 year guarantee. 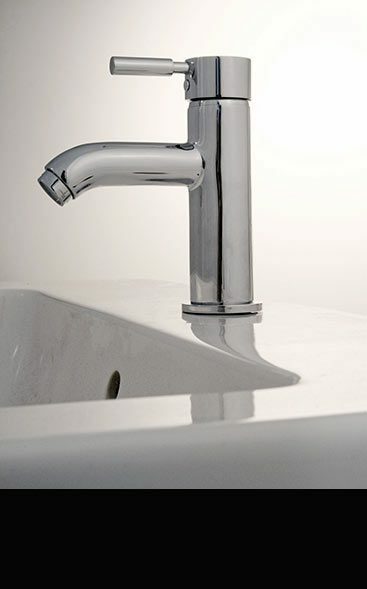 The Piccadilly bathroom tap collection is a contemporary twist on an older traditional tap style. With a lovely modern crosshead tap handle these luxury bathroom taps are Italian designed & manufactured ensuring quality & styling. Available are deck & wall mounted basin taps, wall hung & deck mounted bath filler taps plus matching thermostatic shower valves. A European collection of nickel bathroom taps in the latest contemporary styling. Within this nickel taps range we supply the full range of bathroom fittings. Included are nickel basin taps for deck & wall mounting, freestanding bath fillers & deck & wall bath taps, plus all the nickel shower fittings required to complete your bathroom design. A lovely range of nickel plated bathroom taps in a traditional style. These Victorian styled taps are manufactured within Europe ensuring beautiful quality. We can offer all the bathroom fittings required to complete a nickel themed bathroom. Included are traditional nickel basin taps for sink & wall mounting, nickel bath taps & fillers plus matching nickel plated shower heads & shower valves. A contemporary range of luxury bathroom taps manufactured and designed in Italy, ensuring top quality with all brassware covered with a 15 year manufacturers guarantee. Within this contemporary tap collection we have chrome basin taps, bath fillers plus matching chrome thermostastic shower valves and shower heads and shower fittings. 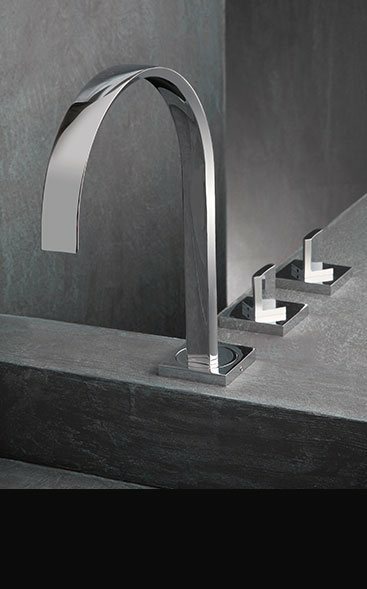 L`Eau collection of waterfall taps are retro styled for both traditional and classically contemporary bathroom design. These luxury European bathroom taps are available for wash basins, baths as well as waterfall style shower heads plus matching accessories. These cascading taps are available in chrome and brushed nickel which gives a stainless steel finish, all producing a lovely themed feature in good bathroom design. 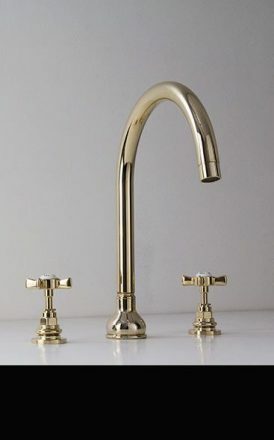 A classically contemporary gold tap collection based on an old traditional tap range. These gold plated bathroom taps are beautiful Italian styling and luxury European quality. We offer a full range of gold bathroom taps to complete a stylish bathroom theme, including all the relevent matching gold plated shower fittings. We offer gold basin taps, bath fillers in wall and deck mounted versions plus gold shower heads and thermostatic shower controls. A beautiful collection of gold plated bathroom taps in a traditional style. These gold taps are based on an original Victorian style & European manufactured ensuring lovely quality. Within these gold tap fittings we can supply a full bathroom design. Included are wall mounted & deck mounted gold basin taps, rim mounted & wall gold bath taps supplied with or without a shower attachment. We also offer matching gold shower fittings including shower heads & shower control valves. 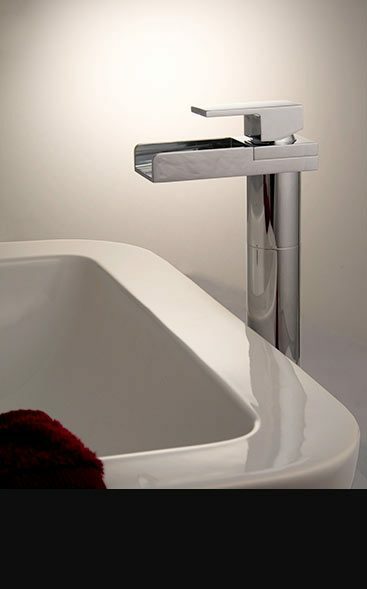 A high quality range of glass bathroom taps with infrared sensors & touch activation. These luxury electronic taps are glass fronted with illuminated icon controls. An automatic digital tap which is electronically controlled with touch & hand wave commands, making these luxury electronic taps an ideal choice for exclusive bathroom design. Livinghouse offers a superb quality collection of traditional bathroom taps in an old original Victorian style. 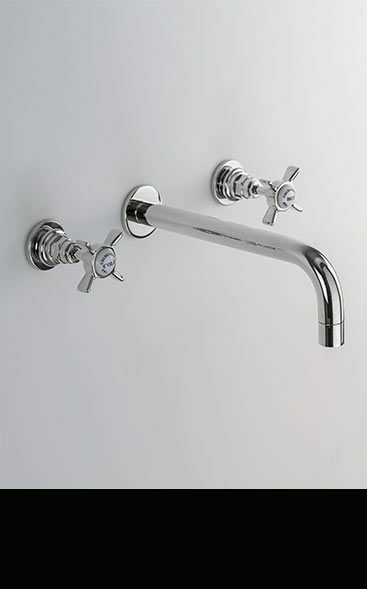 Within this traditional chrome taps range we supply traditional basin taps for wall and sink mounting, traditional bath taps for bath rim & wall mounting, bath fillers with a shower head attachment plus matching traditional styled shower heads & shower accessories. All our traditional taps are lovely European quality and made in solid brass with a chrome plating. 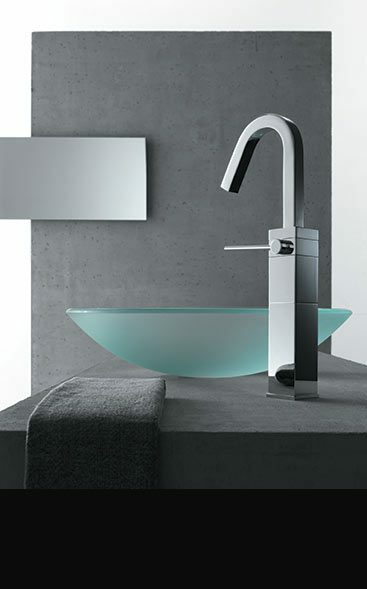 A highly contemporary collection of Italian contemporary taps. 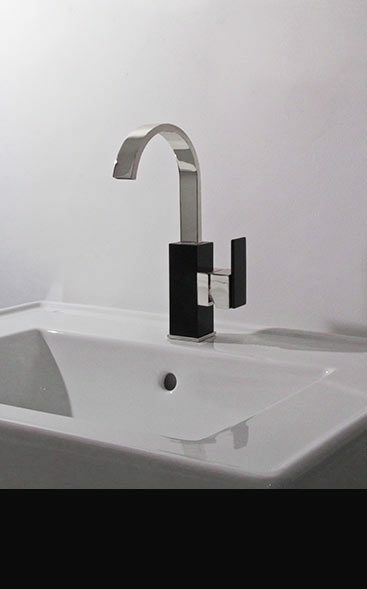 Manufactured in Europe ensuring luxury quality and long life, this brassware range includes deck mounted and wall mounted basin taps, wall hung bath filler taps. Also includes the matching bathroom fittings for bidet and a multi-function shower column. 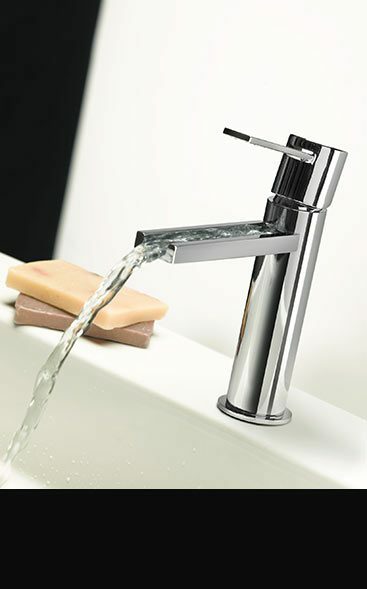 UK suppliers of European quality stainless steel bathroom taps in a brushed finish. This full collection of stainless steel taps includes wall mounted & deck mounted wash basin taps, bath taps & bath fillers in wall mounted & floor freestanding styles.We are also have matching brushed stainless steel shower fittings, including wall & ceiling shower heads & manual & thermostatic shower valves. Exclusive to Livinghouse these copper bathroom taps are a brand new collection. Styled in the UK & manufactured in Italy, these designer copper taps make a beautiful style theme within an exclusive bathroom design. We can supply copper basin taps & bath fillers plus matching copper shower heads & shower valves, all in a thick copper plated finish. The Florence Range of Italian bathroom taps are a highly engineered collection of contemporary tap fittings. 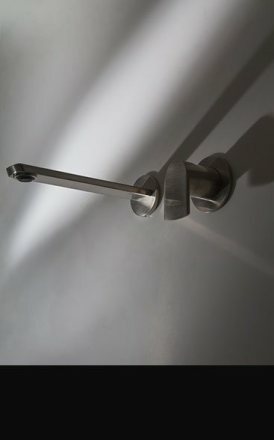 Manufactured and designed in Italy, the unique feature of these exclusive taps and bath fillers is its finger single lever operation and its unique designer body shape which is also very complex to manufacture. A unique collection of basin taps, bath fillers and shower fittings. 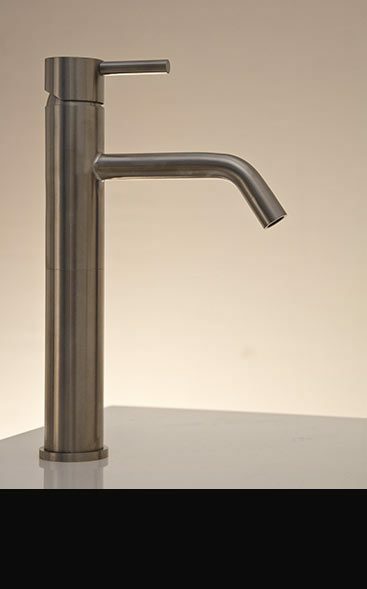 These Italian taps offer a full range of wall, deck and floor mounted taps supplied with flat tapered water spouts, which is a very beautiful design and extremely difficult to manufacture. These lovely chrome taps are loved by interior designers. A beautiful collection of waterfall taps in a nickel plated finish. These nickel taps make a stylish design alternative to the traditional chrome finish and is an ideal theme for exclusive bathroom design. 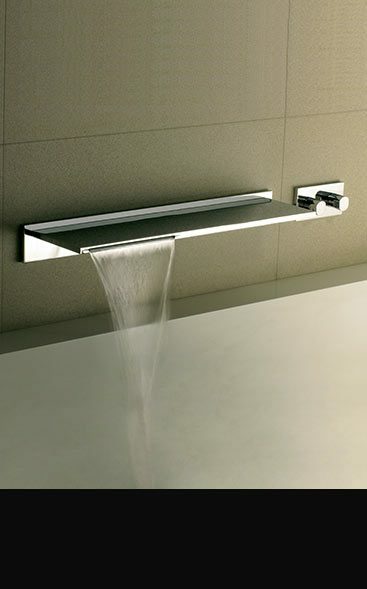 We can supply basin taps & bath fillers with waterfall spouts including deck mounted, wall mounted & freestanding versions & matching shower heads. High quality contemporary bathroom taps in a satin matt brushed nickel finish in the latest Italian bathroom styling, included are deck and wall mounted a basin taps & bath fillers plus matching nickel shower heads and thermostatic shower valves. Luxury European quality. 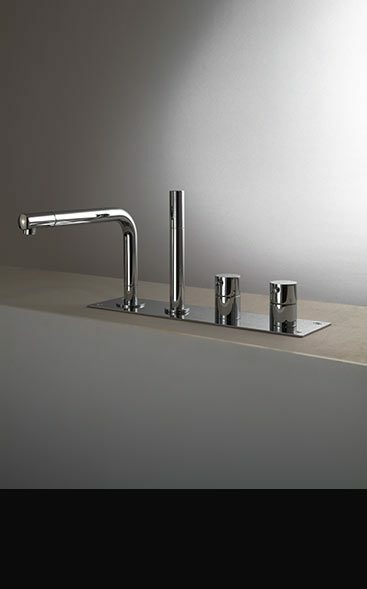 This exclusive range of Italian taps are beautiful design and luxury quality. With its contemporary styling these bathroom fittings offer a wall and deck mounted basin tap, bath taps and fillers that are rim and wall mounted. All bath mixer taps include a handy handheld shower attachment for easy hair washing and bath cleaning. Impressive range of thermostatic mixer taps. Included within this collection are thermostatic basin taps, bath taps with handheld showers and freestanding thermostatic bath fillers. 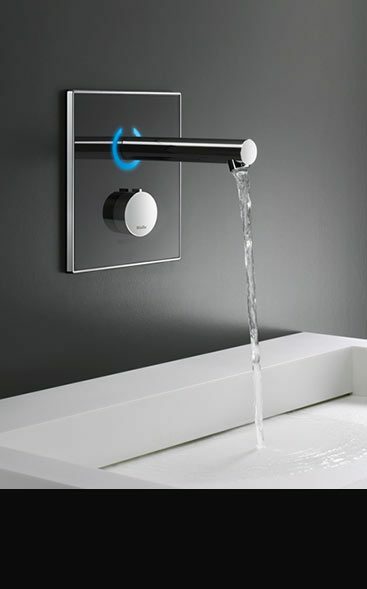 Each thermostatic bathroom tap uses the latest thermostatically controlled mixing cartridges, allowing for easy and safe mixing of the hot and cold water. Latest in luxury Italian styling & made in Italy also. 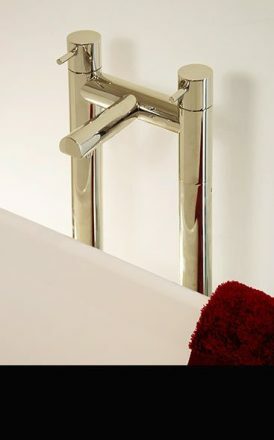 UK suppliers of waterfall bathroom taps that are finished in a stylish gold plated finish. 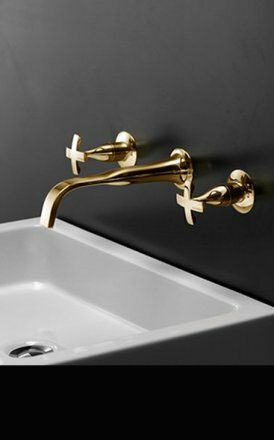 These luxury gold taps are beautiful European quality and the latest in Italian styling. Within this gold tap collection we can supply waterfall basin taps and waterfall bath taps in deck mounted & wall mounted designs plus matching waterfall shower heads with large cascading water flows. 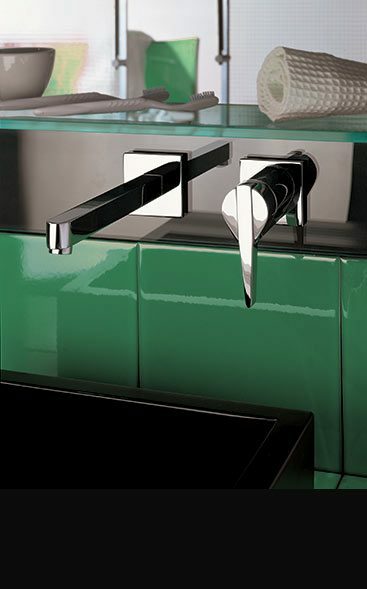 The Boxer Collection is a superb collection of square styled taps manufactured and designed in Italy. These square tap fittings are made of solid brass with a thick chrome plating to a quality expected in Europe. Ideal design choice in luxury and design led bathroom design.